“Sebi has neither received any request from the Citizenship by Investment Unit (CIU) of Antigua for updates on any investigation nor provided any such information to CIU,” the regulator said in a statement. Left red-faced by the statement, Indian government sources took the position that there was no criminal case registered against Choksi in 2017 — the PNB scam came to light in January 2018. 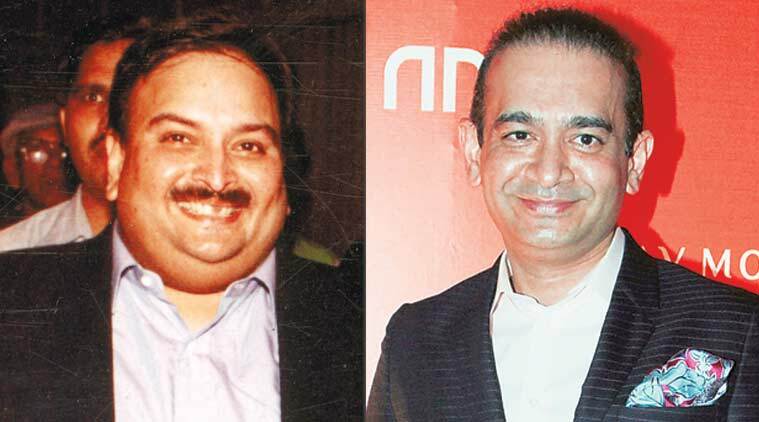 Raising questions about the alert levels of law enforcement agencies here, Antigua and Barbuda said Mehul Choksi, fugitive jeweller and Punjab National Bank scam accused, had been granted citizenship of the country based on a police clearance certificate issued by the Regional Passport Office, Mumbai and documents received from the Securities and Exchange Board of India (Sebi) in May 2017. “All Passport Issuing Authorities can issue a PCC if there is a clear Police Verification Report (PVR) in the system. In case there is no PVR, then a fresh PVR is obtained prior to issuance of a PCC. As the PVR of Mehul Choksi was clear in the system at the time of issuance of PCC, the process followed by Passport Office, Mumbai was as per extant instructions,” the spokesperson said. In a press statement, Antigua’s Citizenship by Investment Unit or CIU said Choksi’s application was received by the CIU in May 2017 with necessary documentary requirements, including a police clearance certificate, as required by Section 5 (2) (b) of the Antigua and Barbuda Citizenship by Investment Act 2013. “The said police clearance certificate from the Government of India, Ministry of External Affairs Regional Passport Office, Mumbai, certified that there was no adverse information against Mr Mehul Chinubbhai Choksi which would render him ineligible for grant of travel facilities including visa for Antigua and Barbuda,” it said. “In the conduct of its due diligence, the CIU received documentation of two instances in which the Securities and Exchange Board of India (SEBI), in 2014 and 2017, opened investigations on a corporate entity owned by Choksi. We requested updates on the status of the investigations and received documentary confirmation, issued by the SEBI stating that in one case, the matter had been satisfactorily closed, and indicating in the other that there is not sufficient evidence to pursue the matter further. None of these matters is the subject of the current warrants issued by Central Bureau of Investigation (CBI) in connection with the Punjab National Bank. It was also observed that 2016 non-bailable warrant was discontinued in October 2016,” it said. “The CIU assures the public that it took all reasonable steps to ensure that Mr Choksi was a fit and proper candidate for the grant of citizenship as allowed under the Antigua and Barbuda Citizenship By Investment Act,” it said. The Economic Offences Wing (EOW) of the Mumbai Police did, however, receive certain complaints from a few franchises of Choksi’s firms, Gitanjali Jewellers, complaining of breach of contract. Choksi’s firm, in turn, had filed counter complaints against these franchises. But no FIR was registered — the complaints and counter complaints are still being probed. “These complaints are of breach of contract which fall under the realm of civil litigation,” said an official. “The BKC police station received at least three complaints by the firm, those were transferred to us. After studying the complaints, a preliminary enquiry (PE) was ordered. The firm claimed that the franchise made bogus agreements. However, till date they have failed to produce these. Since they haven’t provided the requisite documents, the PE has not been converted into an FIR,” the official said. Sebi said it had not received any request from Antiguan authorities seeking information on any case pertaining to Choksi. “Sebi has neither received any request from the Citizenship by Investment Unit (CIU) of Antigua for updates on any investigation nor provided any such information to CIU,” the regulator said in a statement.